En español | Social Security was never designed to be the sole source of income for older Americans. But in an era of disappearing pensions, dwindling savings and longer life spans, it has become the primary, and at times the only, financial lifeline for some. How well can one live on Social Security? That depends on where you live, how you live and other factors. Here is how some people do it. DeWitt and Diane Head, Hubbardsville, N.Y.
DeWitt Head, 77, and his wife, Diane, 73, have spent most of their 54-year marriage milking cows together and raising prize-winning Holsteins, as well as five children. Dairy farming has been a good life, says DeWitt, a fifth-generation farmer. “It keeps the family close.” DeWitt and Diane still live near the 900 acres first purchased by DeWitt’s great-grandfather in 1904. 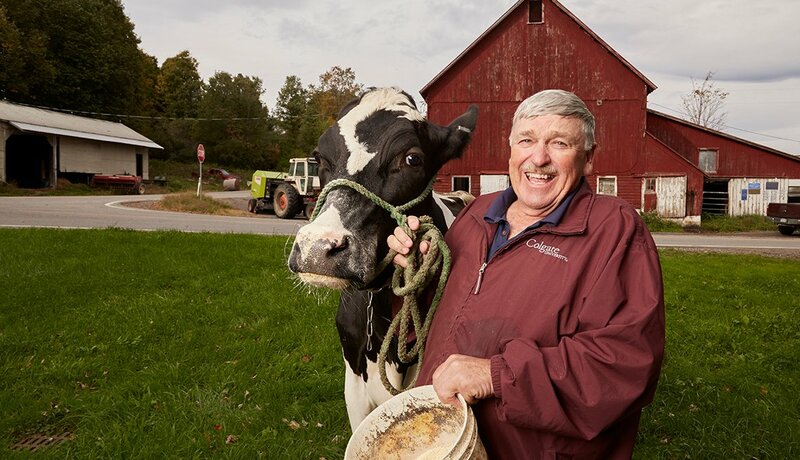 The couple farmed that land for decades, but at age 60, when he was still milking a hundred cows three times a day, DeWitt developed heart disease. He had to sell his herd and some of his land and pass the operation to one of his sons. “I started taking Social Security at 62, because I was told I would die. But I proved them wrong,” says DeWitt. The Heads receive a combined Social Security payment of around $1,000 a month. “We’re farmers. We never made a lot of money.” But the income “keeps us going,” DeWitt says. “Most of my friends get more, but they waited longer.” After his heart trouble and his quasi retirement from dairy farming, DeWitt worked at a golf course and drove a school bus. But at 72, he was persuaded by Diane to retire. “She said it’s time to slow down.” DeWitt says he’s thankful for Social Security and hopes the safety net is there for the next generation. “The politicians shouldn’t touch it." Mae Gillespie has a good head for numbers. In her youth, she earned a college degree in business and went on to bookkeeping and other financial jobs. All of that experience has helped the 84-year-old live comfortably on the $1,101 she receives monthly from Social Security. 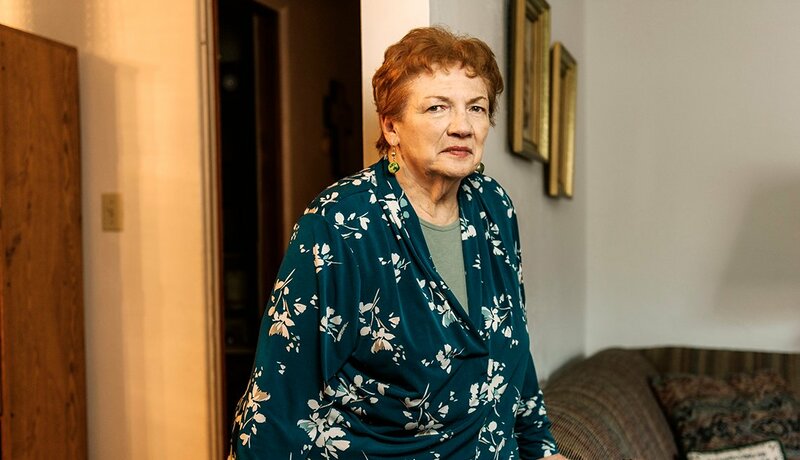 “I’ve never had any problem, but I do know how to work a budget,” says Gillespie, who lives in a one-bedroom apartment in a quiet, tree-shaded federally subsidized complex for residents 62 and older. Gillespie contracted multiple sclerosis at age 22, but she never let it keep her from working, she says. She moved to Roanoke more than 15 years ago to be close to her daughter and son-in-law. She spends about $220 a month on groceries and manages to tithe to her church after paying for rent, utilities, telephone, supplemental health insurance and a medical alert device. Her daughter is a big help, she says. They get together every Saturday for coffee and to run errands. She considers herself to be in good health and believes that helps her live within her means. “I don’t take medicines,” she says. The local Office on Aging provides rides to the few medical appointments that she has to make. Gillespie says she leads a full life, participating in a weekly Bible study, a tai chi class and other programs at her apartment complex. She likes to sit near a small fish pond and read. “I’m very much at peace,” she says. Mark Stevens, Ormond Beach, Fla. When he is not tinkering with one of his vintage motorcycles, Mark Stevens can be found chipping golf balls or, maybe, sitting in a beach chair with a fishing rod nearby. He retired early, but his monthly check enables Stevens and his wife to live a comfortable, if not extravagant, lifestyle in Florida. “It is summertime all the time,’’ says Stevens, 65. 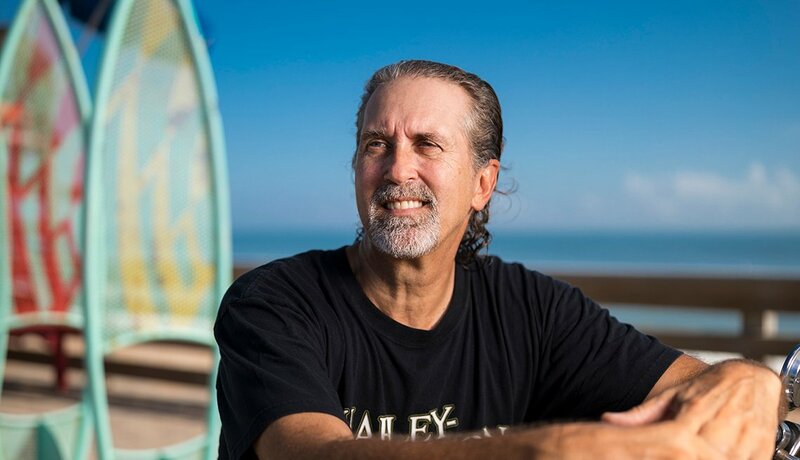 “I am so darned spoiled.’’ Proudly frugal, he retired in 2015 from a small manufacturing plant in Erie, Pa., and relocated from the snowbelt to sunny Ormond Beach, Fla. His wife, Laurie, 45, joined him and began working at an assisted living facility. The couple paid $134,000 in cash to buy a 1,000-square-foot home about 600 yards from the ocean. “Without Social Security, you cannot sniff retirement,’’ says Stevens. Because he retired at 62, his Social Security check is less than had he waited, but the $1,400 monthly payment enables the couple to pay the bills and enjoy leisurely pursuits. Stevens jokes that his “personal 401(k)’’ is four collectible motorcycles worth about $60,000. Of course, unexpected expenses crop up. A hurricane damaged the roof in 2016. “The amount of work around the house is exponential compared to up north,” Stevens says. “Other than that, living down here is like living on a giant cruise ship." Cenorina Olivares, 83, has been a caregiver her whole life. Now Social Security is helping take care of her. 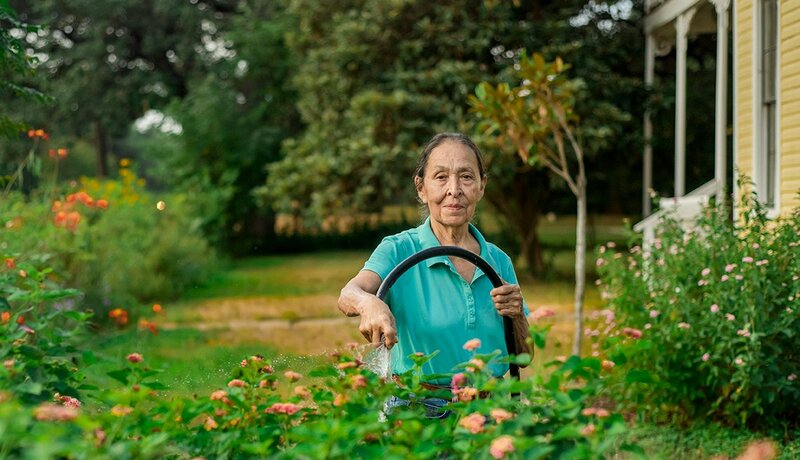 Since arriving in Texas from Mexico in 1968, Olivares worked full-time as a nanny for three families — only one of which paid in to Social Security for her. The $800 a month she draws from the program constitutes most of her income. Social Security is “indispensable,” says Olivares, who never married or had children. She became a U.S. citizen in the 1980s and began taking Social Security at age 65. But she worked as a nanny until age 80. She now lives with the daughter of the first family she worked for. The caregiving “has come full circle.” Olivares was always careful with money and years ago purchased a Houston condo, which she rents out. But between property taxes and condo fees, she just breaks even. She lives in the family’s guest cottage and helps out where she can. She counts on Social Security to pay for groceries, transportation and medications. “I get happy when I read ‘deposit from the Social Security Administration’ on the monthly bank statement," she says. Both collect Social Security, including his larger check of $1,800. 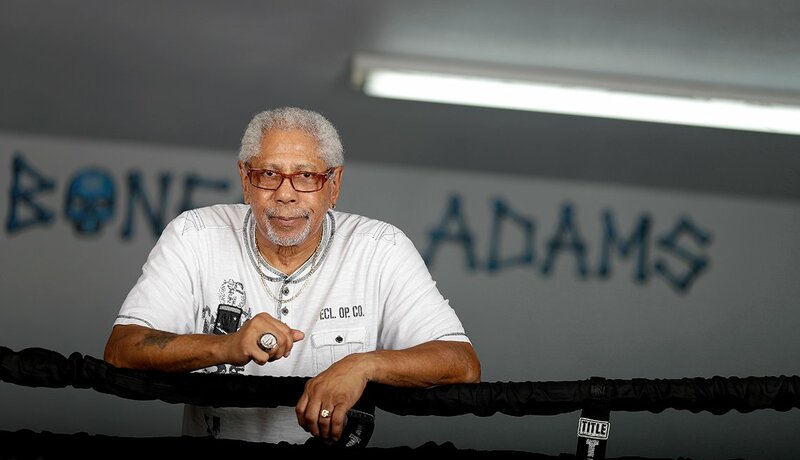 Adams also receives a monthly stipend from the military. The couple has a $1,300 monthly mortgage. He pays $450 a month for a 2017 Lincoln MKZ; her Honda is almost paid off. Car insurance costs a combined $180 per month. They donate to St. Jude Children’s Research Hospital and other charities. The home where Nancy Stokes, 76, has lived for more than a half-century is filled with memories — photos of her wedding day, her four daughters, eight grandchildren and one great-granddaughter. Social Security has helped the genial redhead stay in her suburban Pittsburgh house despite her share of challenges. Three decades ago her husband Frank died of throat cancer. To support herself, she started a home daycare for kids in her neighborhood. But she was forced into retirement seven years ago after being diagnosed with Parkinson’s Disease. 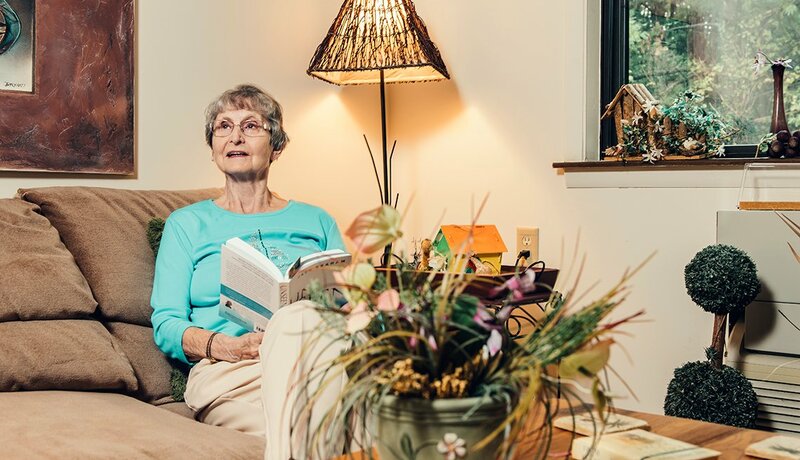 Social Security is her only source of income — a $1500 monthly spousal benefit. “Without Social Security, I would have had to sell the house.” She’s frugal with groceries, utilities and even the occasional lunch at a restaurant with friends. “It’s kind of tight. I barely make it. You just hope something doesn’t break down,” she says. Stokes took a reverse mortgage on her three bedroom home to pay off accumulated property taxes owed to Baldwin Borough. The arrangement has caused her to lose equity in her house. “It was a mistake,” she says. Though she loves the neighborhood, her Parkinson’s disease has made it hard to keep up with the house. She plans to move into an apartment eventually, and has put herself on the lists for low-income senior housing, but she was told there could be a three-year wait. For now, Stokes continues to be as independent as possible, thanks to the support of her family and friends — and the safety net of Social Security.